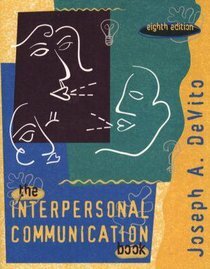 About "The Interpersonal Communication Book (8th Ed)"
Interpersonal Communication. 5. Apprehension And Assertiveness. 6. Communication. 8. Effectiveness In Interpersonal Communication. 9. Principles And Pitfalls. 11. Verbal Messages: Barriers To Interaction. 12. Relationships. 16. Relationship Development And Involvement. 17. Interpersonal Relationships. 21. Primary And Family Relationships. Glossary Of Interpersonal Communication. Concepts And Skills.